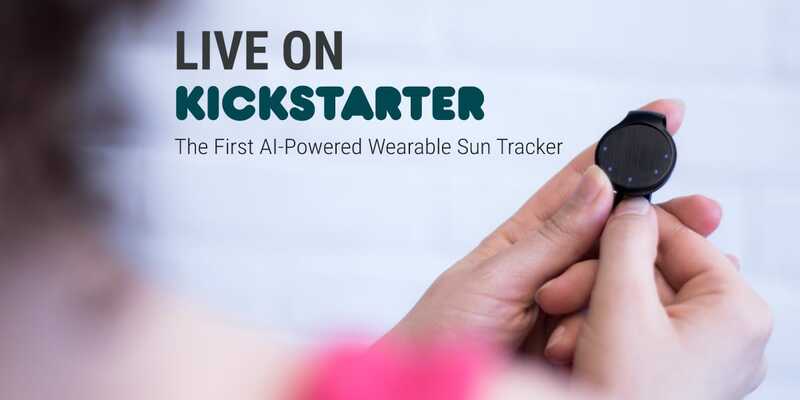 QTemp™ App Live on Google Play and App Store - Comfable Inc.
QTemp™ is an innovative application that gives you personalized sun safety advice, and makes it easy to enjoy spending time outdoors, without worrying about sun exposure. QTemp provides users with the temperature, humidity, and UV index of their current city, and based on these values, it provides sun safety suggestions (i.e. wear sunglasses, sunscreen, a hat, and/or protective clothing, and/or seek shade or an indoor environment). QTemp also features a unique “Time To Burn” countdown that gives users a time estimation of how long they can safely stay in the sun before developing a sunburn. The “Time To Burn” countdown is calculated based on information inputted by the user. They can choose from a list of environmental situations including city, snow, park, water, or sand. The environment plays an important role in UV exposure, since some surfaces reflect UV rays, increasing UV exposure. Skin type also factors into the “Time To Burn” countdown. 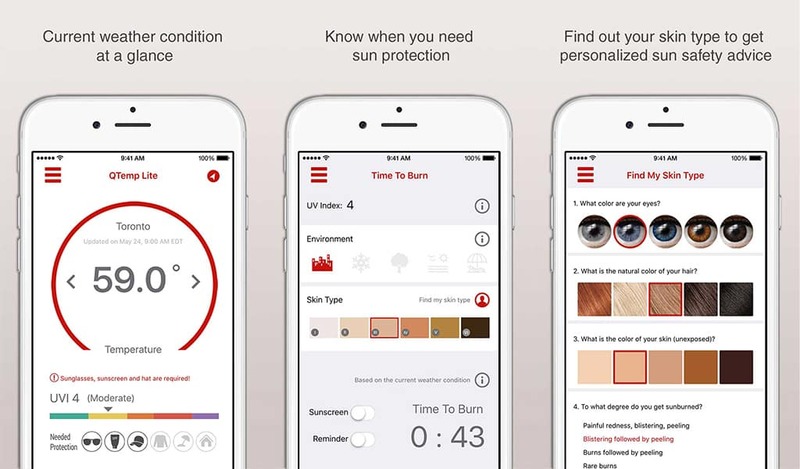 QTemp features an in-app quiz that users can take to determine their skin type. 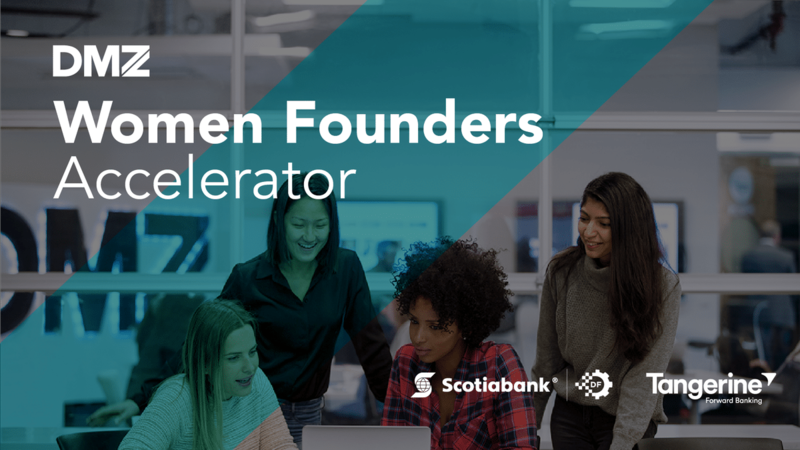 It’s based on the Fitzpatrick scale, and asks questions ranging from hair and eye color to the date of your last tan. Those with skin types 1 and 2 are more vulnerable to the harmful effects of UV rays, and therefore have shorter “Time To Burn” countdowns, compared to those with skin types 3+. Users can also indicate if they have applied SPF30+ sunscreen. Since sunscreen reflects or absorbs UV rays (depending on the type), users who wear sunscreen will have longer “Time To Burn” countdowns, compared to those who don’t. QTemp also offers a variety of science-based sun protection tips on topics including UV radiation, skin cancer and UV risks, sunscreen, sun safety for kids, tanning, and myths and misconceptions surrounding sun safety. 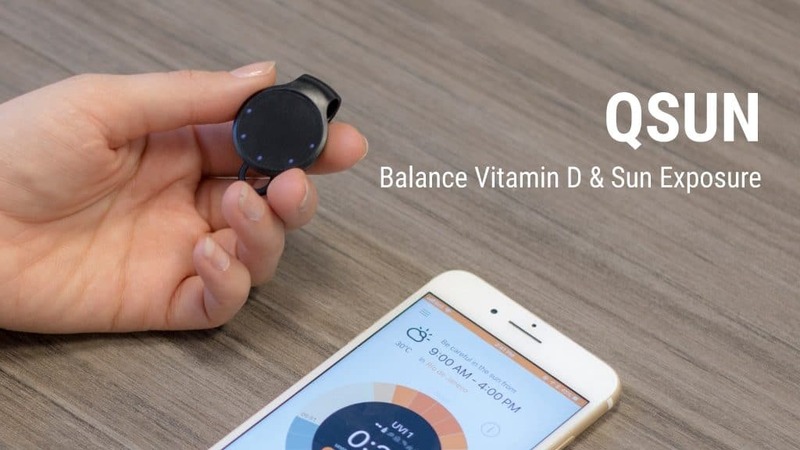 QTemp users who own a QTemp wearable have access to real-time UV and temperature readings from their exact location. They also have access to the QTemp weather camera, which allows users to overlay the current weather data on their photos, and share these photos with friends and family. QTemp also lets users share raw weather data. QTemp wearable owners also have access to the weather map, which broadcasts weather data from QTemp users across the world. QTemp Lite is available for download now on iOS and Android. 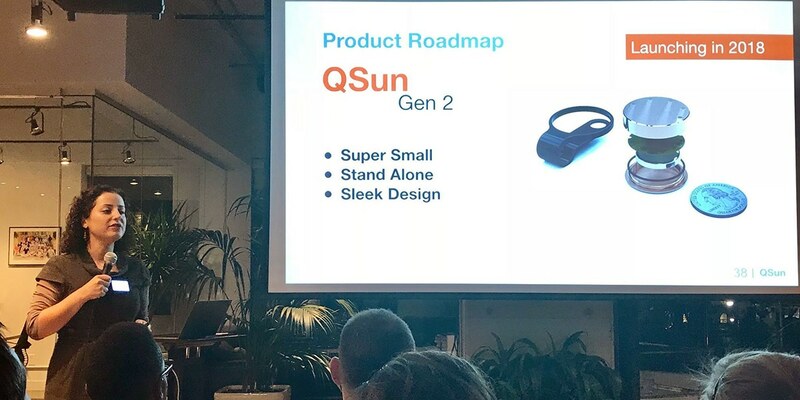 QSun Kickstarter Campaign Officially Launched! © Copyright 2015 - 2017 Comfable Inc.